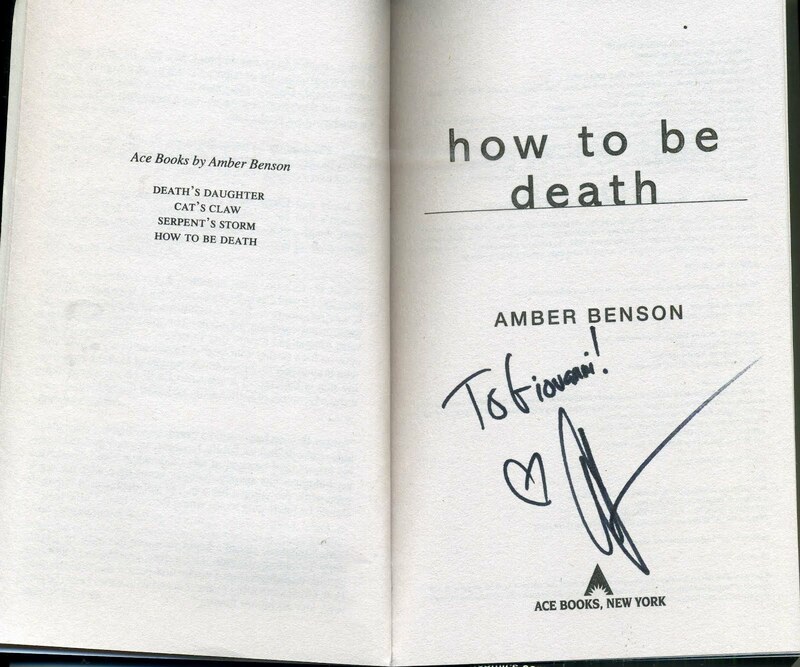 Having been a fan of Buffy the Vampire Slayer fan, since I saw it premiere on TV, and being that the lovely Amber Benson was one of my favorites on that show, I was excited to know that she would be signing at Midtown Comics Grandcentral on March 2, 2011. 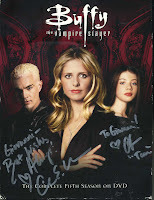 Amber, as fellow Buffy fans know, played Tara, Willow's (Allyson Hannigan) girlfriend in seasons 5 and 6. Her character, a witch, was one of my favorites in the entire series. Benson was great in her role and that she was easy on the eyes was a bonus. 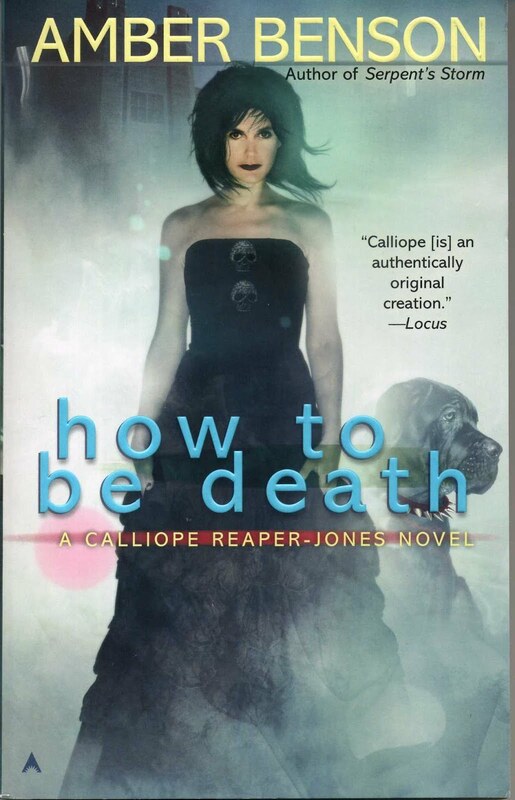 Aside, from being a great actress, she is also an author with a series of urban fantasy books revolving around the character of Calliope Reaper-Jones released by Ace books. 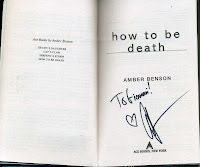 The latest one, and the one she is promoting and was signing, is How to be Death has Calliope taking the reigns of the family business after the death of her dad the grim reaper via the hands of one of her sisters and the Devil in an earlier installment from the series. I got to the store at about 5:15PM or so, but the line didn't start till 6:00. It was cold outside but thankfully not raining. I had a cup of coffee and listened to some music on my i-pod (Pat Benatar, W.A.S.P., etc) until it was time to get in. I was really excited to meet her. Like I said I was a long time fan, and she had always been top of my list from the cast to meet. Best of all this wasn't a convention so I wasn't going to pay some high price for her autograph (not that she isn't worth, she is, in fact very much so). 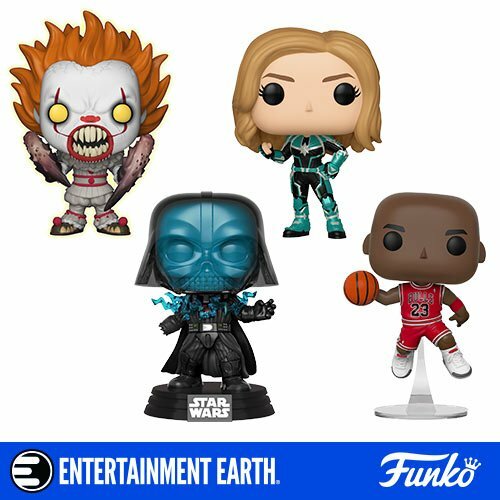 Unlike, other store signings I been to, this one allowed you to talk to her, get pictures with her, and get other stuff signed. She was so sweet in person and looked very cute. She loved talking to her fans and did so, for a while, to each of us. She was all smiles and down-to-earth, as I talked to her about the fact that she was one of my favorite characters on the show and the weird NY winter weather. 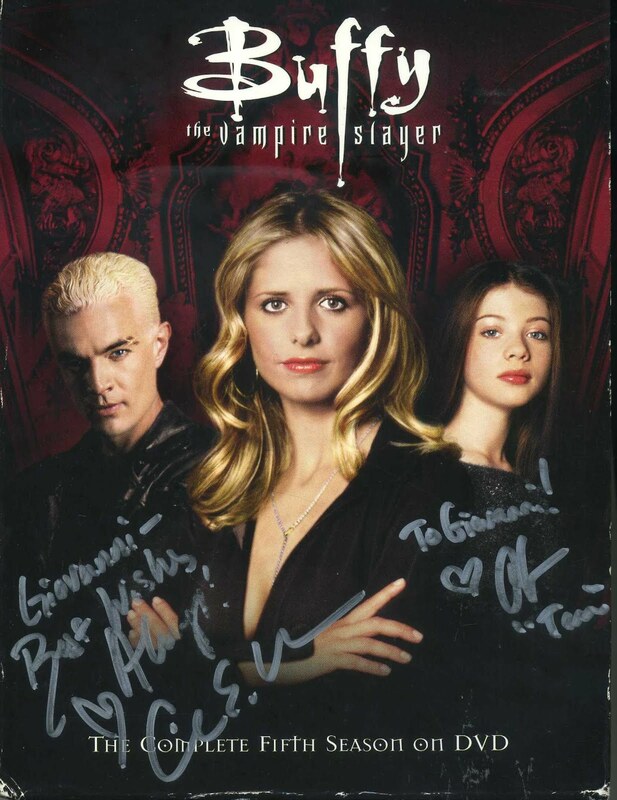 She signed both her book and my copy of the 5th season of Buffy (which, by the way, is my favorite season of the show). She then thanked me for waiting out in the call. In all, I would say this was one of the most pleasant in-store signings I ever been to. And, yes I did start reading her book, which is thus far pretty entertaining. Sounds like a fun time dude, that's a great picture.